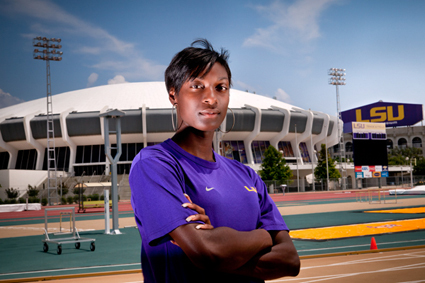 Lets be real, there are only 4 3 real “contenders” in the Womens 100m, and they are nothing to play with. 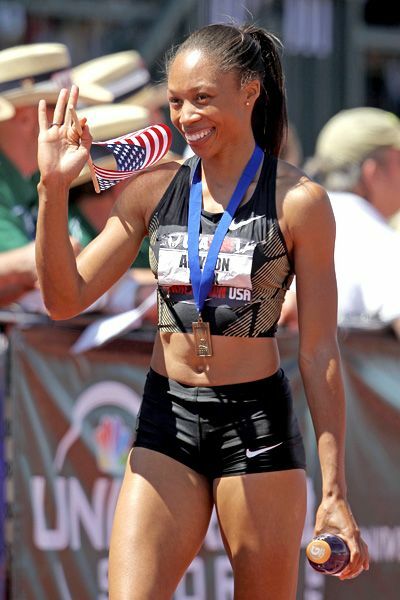 Allyson Felix (10.93): She has been American Track and Field’s poster child since she graduated high school. Anyways, she is hella fast and is looking to get 2 Gold medals at this game (100/200). But seriously, she is what they wanted Marion Jones to be. I would say she is the closest thing to 2000 Marion Jones ever, if she trains for the 100, 200 or 400 she could win them at any level. Carmelita Jeter (10.67): The 2nd Fastest Woman…EVER! She missed the finals of the US Trials in 2008, but has made every major championship since then, winning Gold in the 100m in 2011. 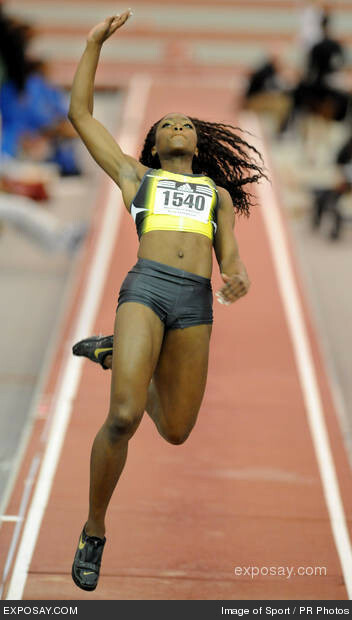 She is 32, but seems to not be slowing down significantly, 10.70 in 2011 and 10.81 in 2012. Tianna Madison Bartoletta (10.97): Originally a long jumper; had a stellar Indoor campaign and since then, I’ve had my eye on her. She is has a great start, and she has great top-end speed. 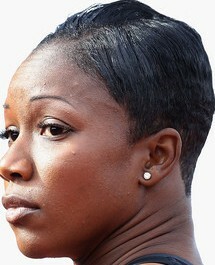 Earlier this month she whooped up on Jeter and Felix at the Adidas Grand Prix, beating them by .08 and .10 respectively.